Make more money. This advice is some of the most common and powerful advice given when it comes to taking your finances to the next level. But making money takes time, and there’s a good chance that your schedule is already overflowing. The truth is that you don’t just need to make more money; you need to find a source of passive income. Passive income is a way to continue to generate money long after you have done the work of creating the passive income stream. While there is an initial amount of work to be done, passive income will eventually have you earning money in your sleep. 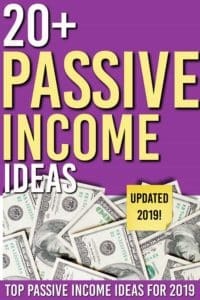 If passive income sounds like just the thing that your finances need, here is everything you need to know about passive income plus a list of the best ways to earn passive income in 2019. What are some examples of passive income? The range of passive income is unbelievable. There are the traditional passive income options like rental properties and investment dividends. But then there are more creative options that have come up as part of the gig economy. From renting your yard to your unused tools, there are plenty of ways to generate passive income that just about anyone can take advantage of. What are the best passive income investments? The best passive income investments depend on your personality, your risk tolerance, and other things specific to your lifestyle. While some people might find incredible success with laundromats and vending machines because of where they live, other people might not. One surefire way that just about anyone can generate passive income is through a high-interest savings account. That’s the perfect way to keep your savings safe and earn money while you sleep. How can I make passive income with no money? While some passive income requires startup capital (otherwise known as money), there are ways to create passive income with no money. Using online shopping portals both when you shop and as referrals codes is a great way to earn passive income without needing any additional funds. How can I generate passive income? There are virtually unlimited ways to generate passive income. The lists below are divided into different categories in order to allow you to capitalize on your specific skills, talents, and hobbies. To see just how many options you have, explore some of the categories below. If you are wondering how you can generate income online, setting up passive income streams through blogs or websites is a fantastic starting point. There are dozens of ways to do this, and here are some of the most effective online passive income strategies. Affiliate marketing (Michelle’s Making Sense of Affiliate Marketing) – If you have a blog or website, you can generate income through affiliate links and affiliate marketing. While some bloggers might only earn a few dollars, many bloggers have found enough success with affiliate marketing to take their blog full time. Check out the course here. Selling ad space – You may also consider adding advertisements to your blog or website. Your level of traffic will certainly determine how profitable this is, but it a fairly hassle-free way to monetize the work you’ve already done. Companies like Adsense, Mediavine, and Ad Thrive can help you get started. Selling products online – After creating the initial product, all of the sales generate passive income. You might use Etsy, Gumroad, SendOwl, or other platforms. Selling Digital products online – Again, if you have your own website, selling digital products can be a lucrative form of passive income. You could create PDF guides, planners, or other tools that would supplement the information on your site. Selling ebooks – Even if you don’t have a website yourself, you could create an ebook and sell it on Amazon. Amazon makes the self-publishing process fairly simple, too. Creating and selling courses – If you have skills that you can share and you know that you have a knack for explaining and demonstrating them well, you can use Teachable or other platforms to create online courses. Patreon – Patreon’s goal is to help artists and creators generate income for their work. You can set up a Patreon account and it allows people to start sending you money in support of your work. 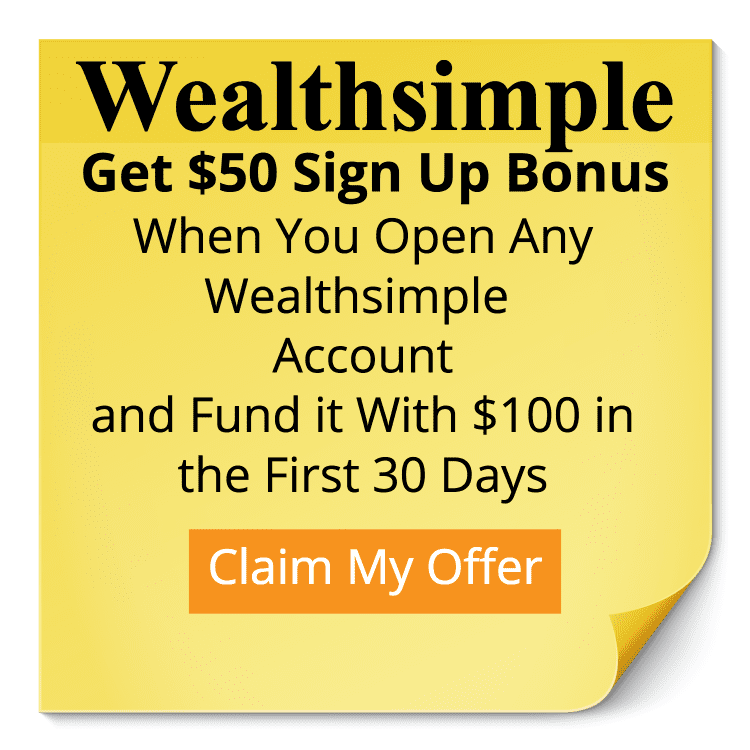 This is a great option for people who don’t want to use ads or affiliate marketing, but still want to monetize their virtual work. These 5 emails will cover what you need to get started with your first site. Individuals who add real estate to their money portfolios are also tapping an important passive income stream. While this might conjure up images of your favorite house rehab show on HGTV, there are ways to generate passive income with real-estate that are much more hands off. Owning rental properties – Renting out houses or apartments is probably the first thing that popped into your head when you thought of real estate. This might have you acting as landlord, or maybe you outsource that task to a property manager. Renting out a room – You don’t actually have to own a separate property to be involved in rentals. Instead, you might consider renting out a room in your house through AirBnB or other rental programs in your area. Investing in a REIT – If the idea of being a landlord or taking in a roommate doesn’t appeal to you, you can still invest in and earn an income through real estate. To do this, you can invest in a REIT (Real Estate Investment Trust). REITs are listed on the stock exchange because they are publicly traded. If you have current investments, you can work with that same investment company to see if you can add REITs to your portfolio. Otherwise, you can explore REITs through apps like stREITwise. For people who are familiar with passive income, stocks and investing is probably what first comes to mind. While newer investors may automatically assume that this type of passive income is too complex, there are actually five ways to generate passive income through investments that anyone can try. 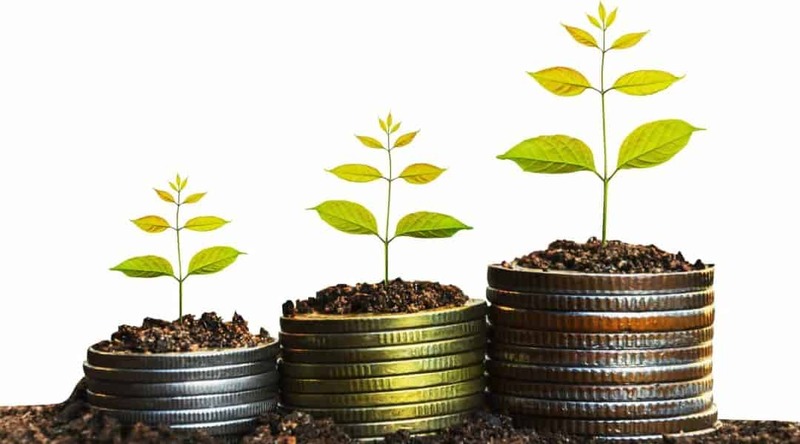 Interest from High Interest Savings Accounts – One of the first things you should do when you are starting to get your financial house in order is to make sure that your savings account is a high-interest savings account. Many brick-and-mortar banks pay next to nothing in interest. Using an account like Wealthsimple Smart Savings Account or other high-interest online accounts can earn you over 2% and your money is still insured. If you have $10,000 in an emergency fund that you keep in a high-interest savings account, you will earn over $200 a year for doing nothing. Dividends – Stocks from companies that are more stable and established can generate dividends. These dividends are periodically paid out to investors. While stock picking can seem overwhelming (and it is! ), using a robo-investment app like Wealthsimple can help you get started with minimal cost and no headache! Annuities – Annuities might not be right for everyone’s financial plan, but they can work well for some people. They are basically insurance contracts that guarantee payments, either in lump sums or in installments. The trick here is to find a very low-fee option otherwise management charges and other fees can eat up much of your gains. Invest in a business as a silent partner – If you have the capital, you might explore becoming a silent partner in a business. In exchange for the capital, you receive a share of the profits without having to do the much of the work associated with traditional business ownership. By creating intellectual property, you can actually generate passive income through royalties or by continuing to sell the product in other forms. Of course, the first step is to have a talent or a skill that people can benefit from. If you fit the bill, this is a great way to turn your hobbies or your side gigs into passive income. Writing songs – If you are able to create songs that are performed live or appear on TV shows or commercials, you are likely to earn a solid stream of royalties. Music royalties are fairly complex to understand, but they can very lucrative. Invent an app – Maybe technology is more your speed. If you create an app, you can sell it on The App Store, Google Play, or other download platforms to earn a handful of dollars for each download. Creating a game – As a developer, you might even have the skills to create and sell the next big video or computer game. After you’ve created the game, you can try using sites like Flippa to make the sale. Selling photos – While you could sell photos on your own website, you can also use other sites to sell your images. Sites like Shutterstock and SmugMug are great places to start. Selling music – Sites like AudioJingle allow you to create and sell music that others can use royalty-free. Instead of earning royalties, you earn your income upfront. There are other passive income ideas that you can explore, too. While they vary in terms of the cost of the initial start-up and initial time commitment, these other passive income ideas can create cash flow for you. Cash back sites – When you shop online, using different cash back sites like Ebates or Drop is a simple way to earn money for regular purchases. It only involves a few clicks, and the best part is that you also have access to a referral code. If you share that with family and friends, you can earn even more money for doing even less work. Rent your vehicle – Sites like Turo will actually turn your car into a rental. Of course, it is important to explore insurance and other aspects of car rentals to know if it’s the right decision for you. Rent your yard – Depending on where you live, you might be able to rent your yard. If you live on a big enough property, perhaps you could host backyard weddings. You might also be able to rent part of your property as a campsite using HipCamp. Rent your stuff – Fat Llama and other sites allow you to rent out things that you aren’t using. From shredders to car trailers, you can set daily rental rates for all sorts of items you might have stashed in a garage, shed, basement, or attic. Car wash – Some people who are looking to get involved in real estate in a non-traditional way decide that owning a car wash is a good way to generate passive income. Of course, there are the initial costs to consider and finding the right location. You would need a heavily trafficked area to ensure that you are able to service hundreds of vehicles. Laundromat – Laundromats can be a relatively hassle free way to earn income, especially if you are able to set up a laundromat in the right location. Big cities or even more suburban areas that have numerous apartment complexes is ideal. The same might be true for college towns or areas frequented by tourists. Vending Machines – Vending machines are another passive income opportunity because you don’t have to be working while they are. Most people who generate large passive income from vending machines own multiple machines and are strategic not only about what inventory they sell but where they put the vending machines. Unlike laundromats and car washes, the initial startup cost of vending machines is only a few thousand dollars. Here’s more about vending machines as passive income. Coin-operated machines – In addition to vending machines, you might consider exploring other coin-operated machines. There’s a good chance that there’s a coin-operated machine that fits your interest and personality. From vintage fortune teller booths to pinball and everything in between, these timeless classics will never go out of style as long as people are interested in trying their luck and being entertained. Making more money can be a game changer for your finances. The problem with making more money, though, is that it often requires a considerable time commitment. However, by learning how to leverage the power of passive income, you can add a significant cash flow to your monthly income without eating up more of your precious time. Share these ideas on Passive Income and be part of the solution!